There are some problems in life that we just can't solve on our own. 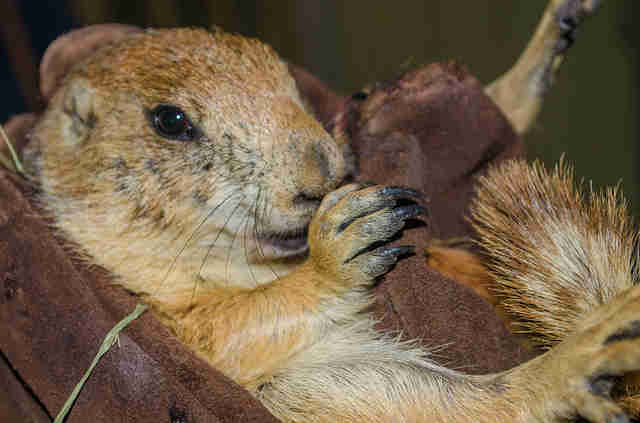 David Crawford, founder of Animal Help Now, got a call from a woman in Colorado who was concerned about a prairie dog stuck in a drain pipe on her property. This time of year, male prairie dogs often migrate to other colonies, and can sometimes get a little lost along the way. 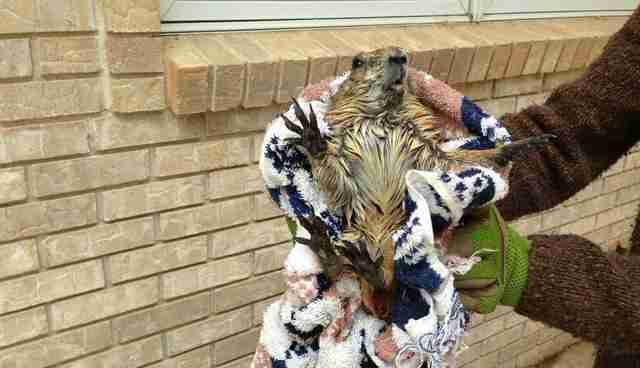 "This prairie dog had been scratching at her front door, and she noticed he had an injured front paw," Crawford told The Dodo. 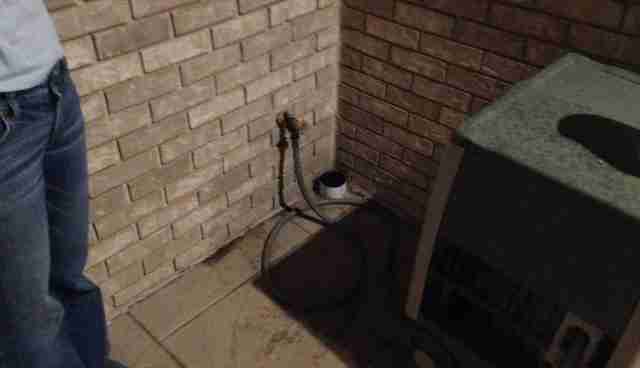 "She came outside and watched him run away to the corner of her courtyard and crawl down a four-and-a-half-inch drainage pipe because it looked a lot like a burrow entrance." When the prairie dog didn't come back up again, the woman assumed he must have gotten himself stuck, and immediately called for help. Crawford arrived, and he tried for several hours to get the prairie dog out, with no success. They left him overnight but barricaded the courtyard so that if he did emerge they could catch him in the morning and get him help for his injuries. 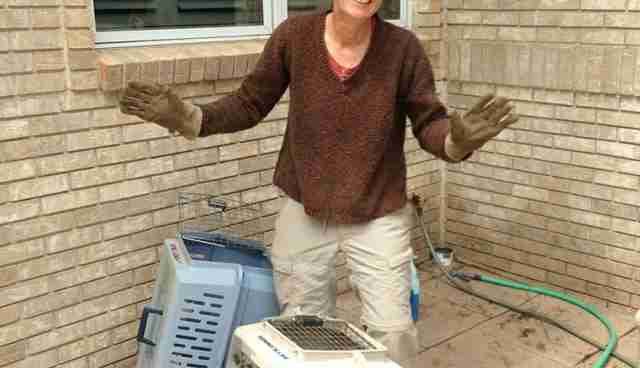 The next day, the poor prairie dog was still trapped in the pipe, and so Crawford called Pam Wanek, an experienced prairie dog rescuer. "I came out with a webcam and snaked the camera cord up into the tube, but didn't see him," Wanek told The Dodo. "I was worried he was dead." Wanting to get the little guy out regardless, Wanek tried to flush him out using water, a common prairie dog rescue technique, and was incredibly surprised when she saw his little head pop up out of the pipe. She waited until he had completely emerged before grabbing him and placing him safely in a carrier. "He looks healthy but he's very skinny, so I took him to a wildlife rehabber," Wanek said. "She'll make sure he's healthy, fatten him up and then release him back into the wild." The little prairie dog was just trying to find his way, and lucky for him he's now safe and sound, being cared for by people who will make sure he eventually makes his way home. To help more animals like this prairie dog, you can donate to Animal Help Now.